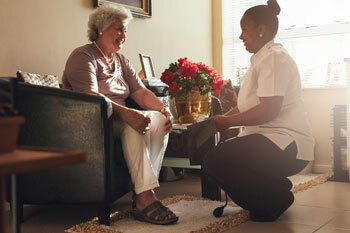 When you need help at home, call the medical professionals at Beebe Healthcare - Home Care Services. Beebe Home Care Services is accredited by The Joint Commission and has been serving Sussex County since 1985 with a goal of supporting patients in living their best lives at home. It serves patients throughout Sussex County and beyond. It has more than 70 specialized employees including nurses, physical therapists, occupational therapists, speech-language pathologists, licensed clinical social workers, and other health professionals. Learn About Services We Offer. Pre-surgery home safety assessments - FIND OUT MORE. Beebe Healthcare - Home Care Services is located at 232 Mitchell Street, Millsboro. For more information or to schedule your consultation, call (302) 934-5830.
Who can benefit from home healthcare? Home healthcare benefits anyone who needs skilled care to live independently at home due to an illness or disability: individuals who have acute illness or injury requiring high-tech care that can be provided at home, patients who require short-term assistance at home because of same-day or outpatient surgery, and many others who can benefit from intermittent services to prevent hospitalization due to a complication for a chronic condition. Home Care Services works with you and your doctor to develop and manage your individual plan of care. You can receive Beebe Healthcare - Home Care Services following hospitalization through a case manager or discharge planner who will meet with you to answer any question you may have, or you may consult with your physician. 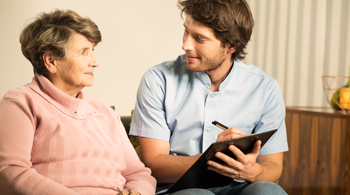 Once you have selected Beebe Home Care Services, a professional nurse or therapist will do an in-home assessment and then coordinate your care following consultation with a multidisciplinary team of healthcare professionals. In addition to Medicare and Medicaid, home health services are generally covered by insurance, most private insurance plans and managed-care organizations. You can compare home care agencies in the area by clicking on the Medicare website. Beebe Healthcare - Home Care Services staff will research and verify your insurance coverage and obtain any necessary authorizations. We will bill the insurance provider for you, so you can concentrate on getting well. Beebe Healthcare Home Care Services has been named a Top Agency of the 2018 HomeCare Elite®! Learn more.